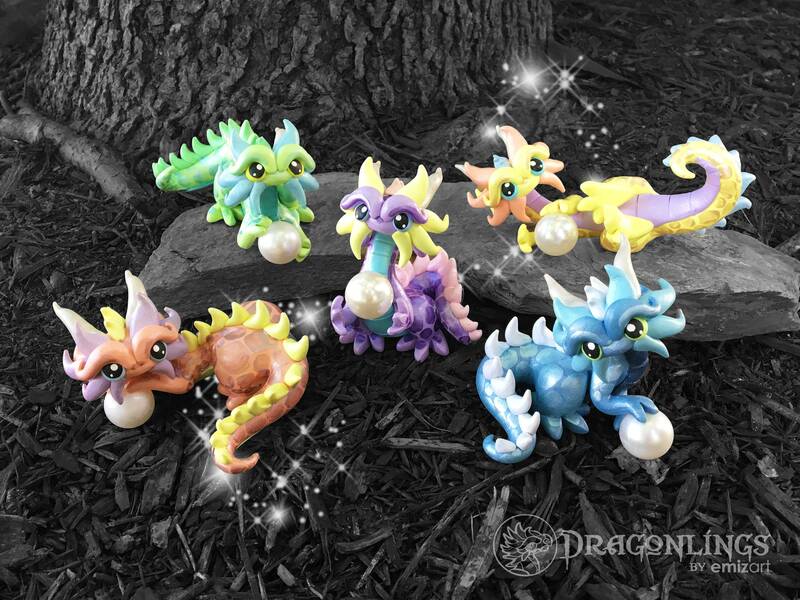 Meet the adorable Pearl Keeper Dragonlings! 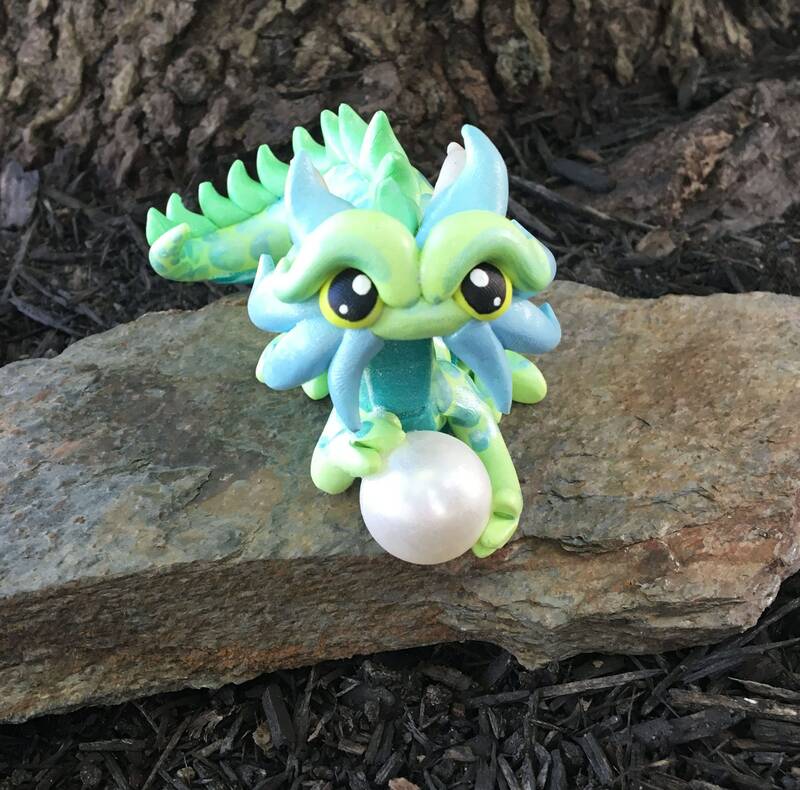 Each of these little guys comes with an attached pearl. 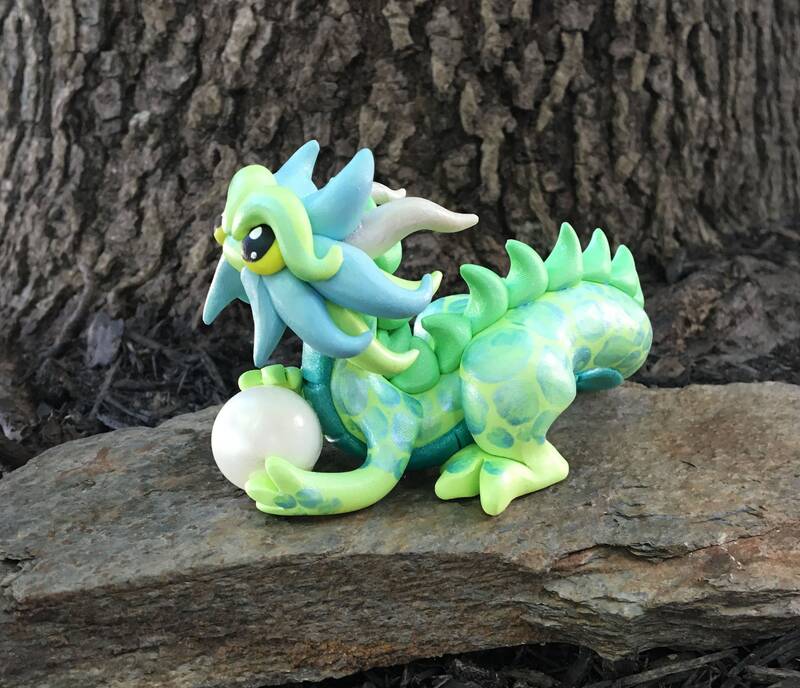 They are feisty guardians, though, so don't try to take it away! 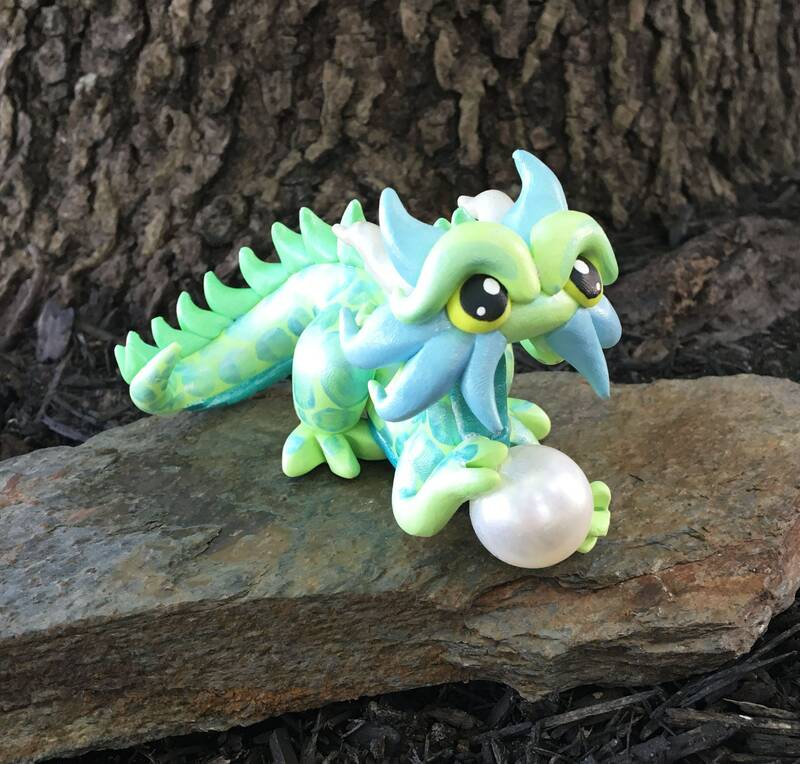 "In connection with the dragon the pearl has been called the image of thunder, of the moon, of the sun, of the egg emblem of the dual influences of nature, and the ‘pearl of potentiality’." 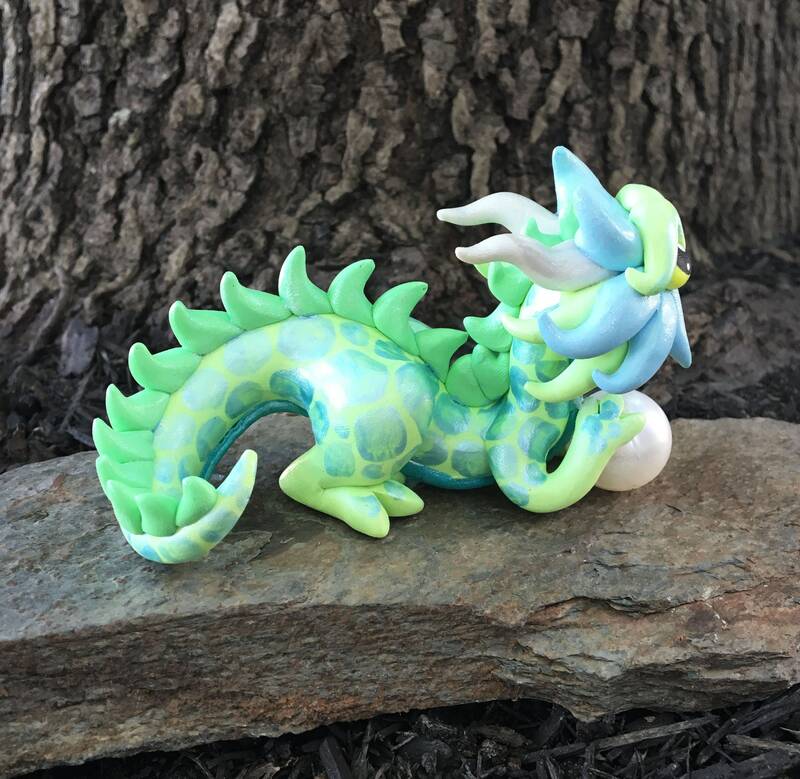 These little ones will not be available as made-to-order pieces, but I will make an effort to keep some in stock.